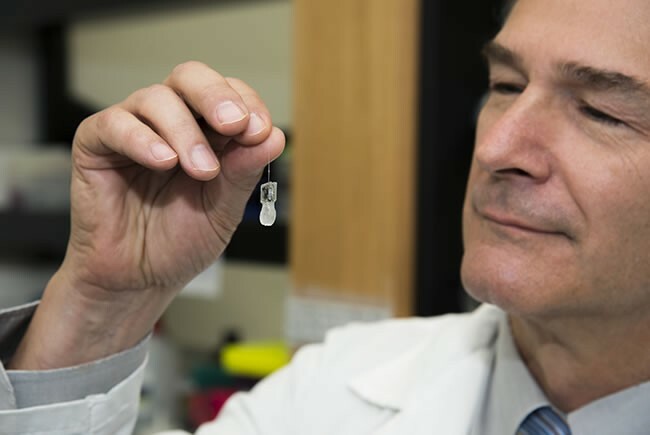 Led by funding earned through the state of Florida’s preeminence program, the University of South Florida’s Department of Medical Engineering is adding nationally prominent researchers, opening a new facility and training more students in high-demand fields. This week the department - a rare joint collaboration between the USF College of Engineering and USF Health Morsani College of Medicine - will open new lab space to allow students to gain more hands-on experience and benefit researchers. The facility provides opportunities for students to conduct experiments in several areas, including biomedicine, regenerative medicine and tissue engineering. 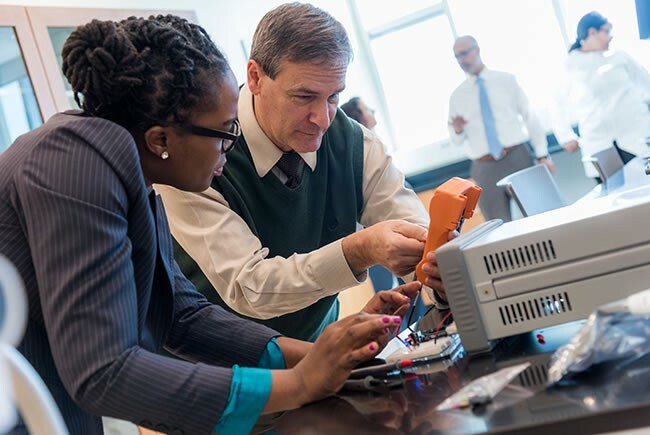 Students and faculty are also able to work with electronic equipment to design and build medical devices. The Florida Board of Governors designated USF as the state’s third preeminent university in 2018, allocating more than $6 million in new funding this year from the Florida Legislature. This funding is invested in priorities such as enhancing research in strategic areas, student success initiatives or attracting nationally regarded faculty. Professor Huabei Jiang was recruited from the University of Florida, where he served as the endowed professor of biomedical engineering. 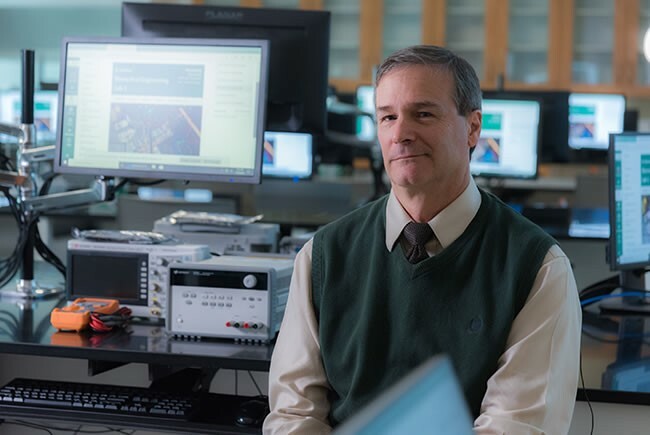 Professor George Spirou comes to USF from West Virginia University, where he was director and endowed professor of neuroscience. The two professors bring with them a combined $5 million in grants from the National Institutes of Health, adding to the portfolio that helps USF rank as one of the nation’s top 25 public research universities, according to the National Science Foundation. 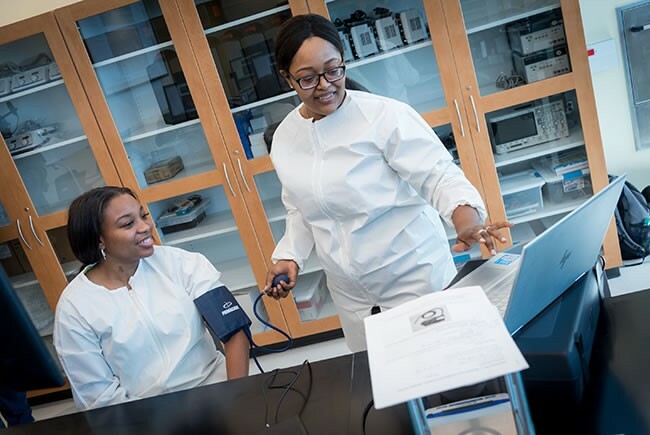 USF is one of only a few universities with a medical engineering department, and just one of four in Florida to offer a bachelor’s degree in biomedical engineering. Currently, 105 undergraduate students are enrolled, 45 are pursuing their master’s degree and 20 are working towards a PhD. “Biomedical engineering is the fastest growing area of engineering and one of the top job fields in the United States if you look out over the next ten years. We were able to fill a critical gap in Florida’s State University System for training biomedical engineers,” said Frisina. There are many career options for graduates, such as in drug development and medical device technology. Current demand is especially high due to our aging population and changes needed within the healthcare system. The launch of USF’s Department of Medical Engineering comes at an important time as the USF Health Morsani College of Medicine and Heart Institute is slated to open in downtown Tampa in late 2019. The project will allow for better synergy between biomedical engineers and their colleagues at USF Health and Tampa General Hospital.